Vitamin C is well known for its antioxidant power and its found in two stable forms in our Vitamin C Serum to protect skin against free radicals and sun damage. Free radicals are unstable atoms which take electrons from other atoms to become more stable. This leads to oxidative stress, damage to skin cells and ageing. Using Vitamin C Serum daily helps prevent damage to cell DNA. Supported by Laminaria Algae extract it will strengthen connective tissue. Collagen is a protein which holds our body together. It provides strength and structure. As we age our body produces less and less collagen resulting in dull, saggy skin and the appearance of fine lines and wrinkles. Tetrahexydecyl Ascorbate, a stable form of Vitamin C, 50 times more effective than ascorbic acid, has the ability to penetrate deep into the layers of the skin and stimulate collagen synthesis. Daily use will increase skin elasticity making it firmer and plumper and reduces the appearance of fine lines and wrinkles. Both forms of Vitamin C found in our Vitamin C Serum in conjunction with feluric acid and L-Ergothioneine will help increase skin brightness and reduce discoloration and redness to even out skin tone. If used regularly you will notice a much more even skin tone and increased radiance. The clean formulation of the serum, using natural, gentle ingredients makes it safe to use on the sensitive skin around the eyes. Regular use will improve skin tone and reduce dark circles while providing extra hydration. It promotes brighter and youthful appearance. Though light in texture the Vitamin C Serum has the moisture-locking proprieties of the richest creams. Our signature algae mix and high biological extracts restore trace elements to the skin, nourishing it while maintaining it moisturised throughout the day. This serum is a must if you have dry, flaky skin. Works wonders when the weather is cold. 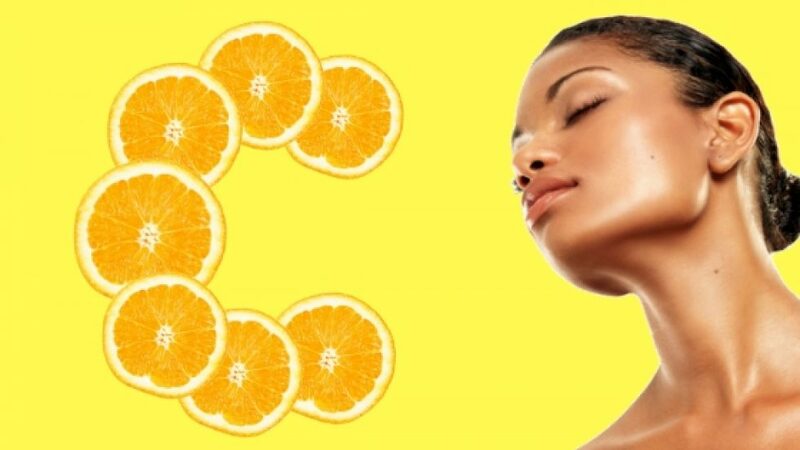 Studies have shown an increased healing effect when using Vitamin C in skincare. With two forms of Vitamin C, Shea Butter extract and essential oils, Vitamin C Serum helps heal small lesions to the skin like scratches and fine cuts and also acne and blemishes. Has ingredients with anti-bacterial proprieties. Though very moisturising Vitamin C serum does not clog pores and lets the skin breath. It helps control oil production and reduce inflammation . This makes it ideal for combination skin as it will moisturise dry areas while controlling oily and acne prone skin. Apply Vitamin C Serum once or twice a day, depending on your skin type and your life style. Cleanse your face before applying to remove any oil and dead cells build up or make-up. It can be used in combination with any other Spa Technologies UK Marine Skincare product according to you skincare routine. For a Vitamin C top-up we love using the Vitamin C Moisturising Mist . Spray over your makeup for a dewy look.